Congratulations to Professor David Jackson and his team in the Department of Microbiology and Immunology (Peter Doherty Institute for Infection and Immunity) on the successful investment into Innavac Pty. Ltd. of AU$6.3 million venture capital support from Brandon Capital managed Medical Research Commercialisation Fund (MRCF) and Uniseed. Innavac Pty Ltd was founded by Professor Jackson with members of his team and Dr. Christophe Demaison in the Department of Microbiology and Immunology and is a biotechnology company aiming to transform the treatment and prevention of respiratory infections and to enhance the effectiveness of vaccines through innovative new approaches. Innavac is developing novel, synthetic Toll-like receptor (TLR) agonists as therapies for the prevention and treatment of respiratory infections in high-risk patient populations with asthma or chronic lung diseases and is also developing its vaccine adjuvant technology. Innavac’s Research and Development activities will be undertaken by Professor Jackson and his team with support from Dr Nathan Bartlett at the Hunter Medical Research Institute. The aim will be to produce a TLR agonist which can be used in the treatment of respiratory virus infections. 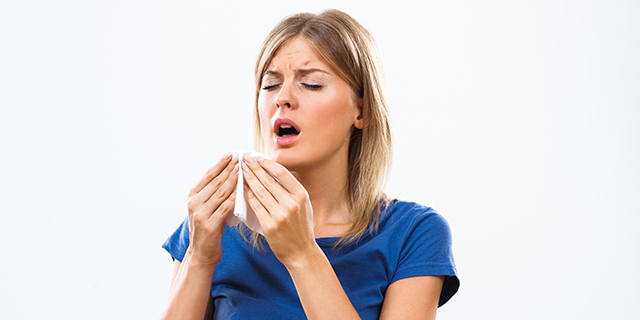 The drug which could be delivered directly into the respiratory tract will provide increased resistance to a number of respiratory pathogens including influenza and rhinoviruses which cause the common cold. Up until now, the only therapies for the common cold were to alleviate signs and symptoms of the infection, but Innavac is on track to provide a cure. Further information on MRCF and Uniseed. Link to news item, "Uniseed and MRCF invests $AU6.3m in respiratory start-up Innavac", on the Uniseed website.